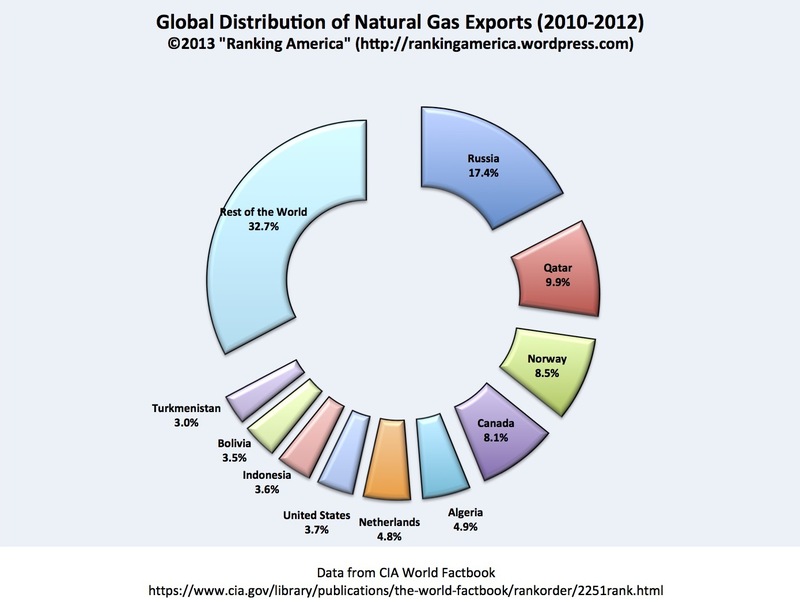 According to the CIA World Factbook, in 2011 the United States exported an estimated 42,670,000,000 cubic meters of natural gas, or 3.7% of the world’s total natural gas exports. 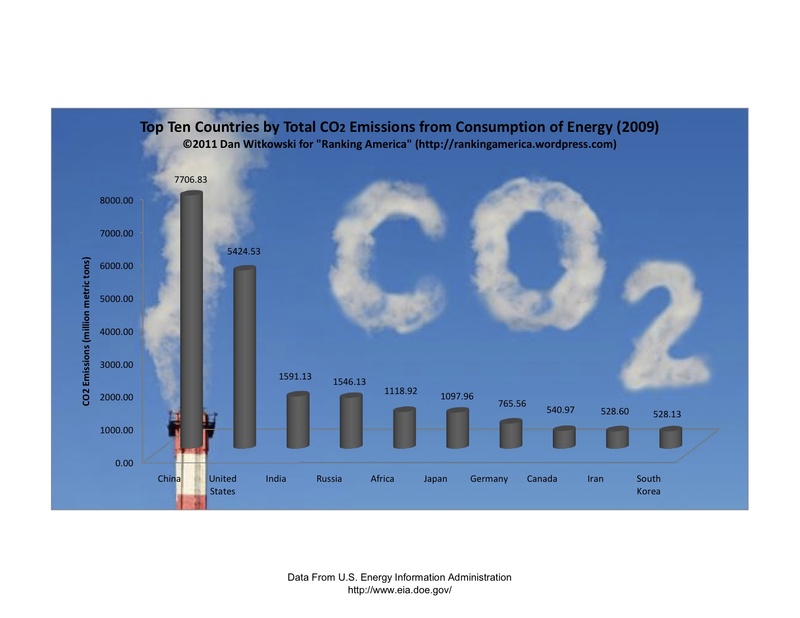 That is enough to make the United States rank seventh out of forty-nine natural gas exporting countries. Russia ranks first, exporting 200,100,000,000 cubic meters of natural gas, or 17.4% of the world’s total. According to the CIA World Factbook, in 2011 the United States produced an estimated 9,023,000 barrels of crude oil per day (bbl/day), or 10.6% of the world’s crude oil. 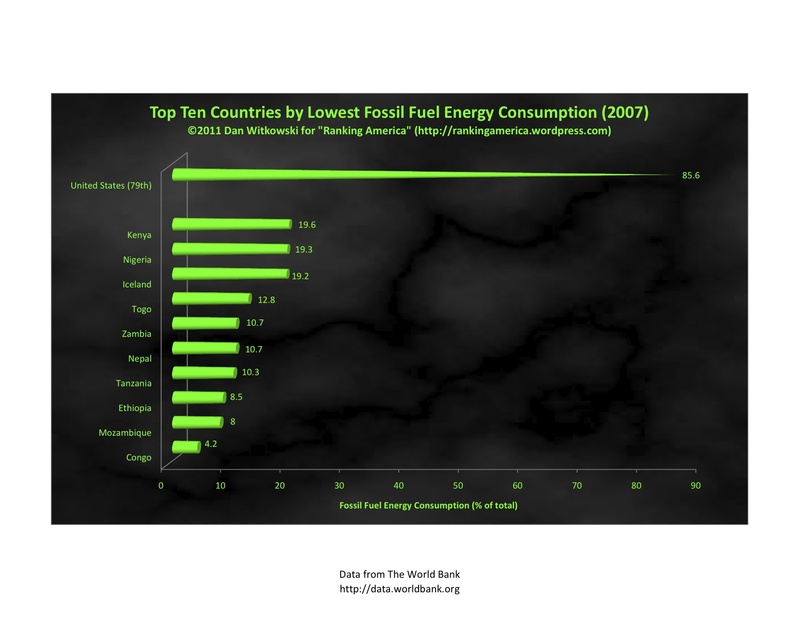 That is enough to make the United States rank third out of one hundred two oil-producing nations. 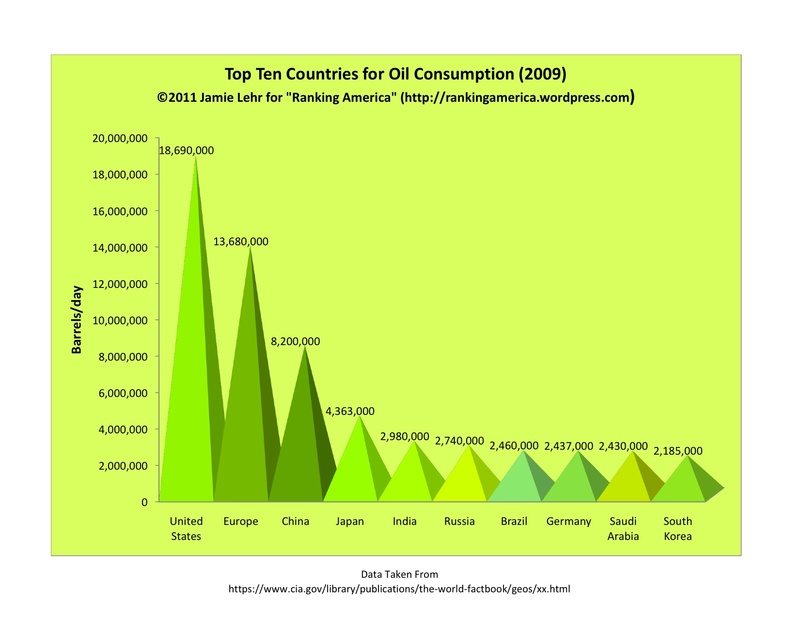 Saudi Arabia ranks first, producing 11,150,000 bbl/day, or 13.1% of the world’s total. 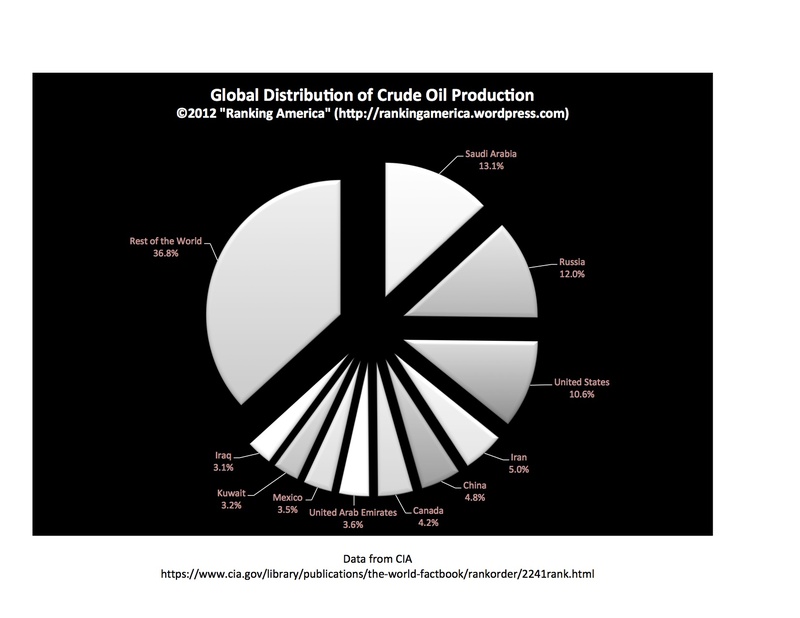 The top ten oil producing countries account for 63.2% of all the oil produced in the world. 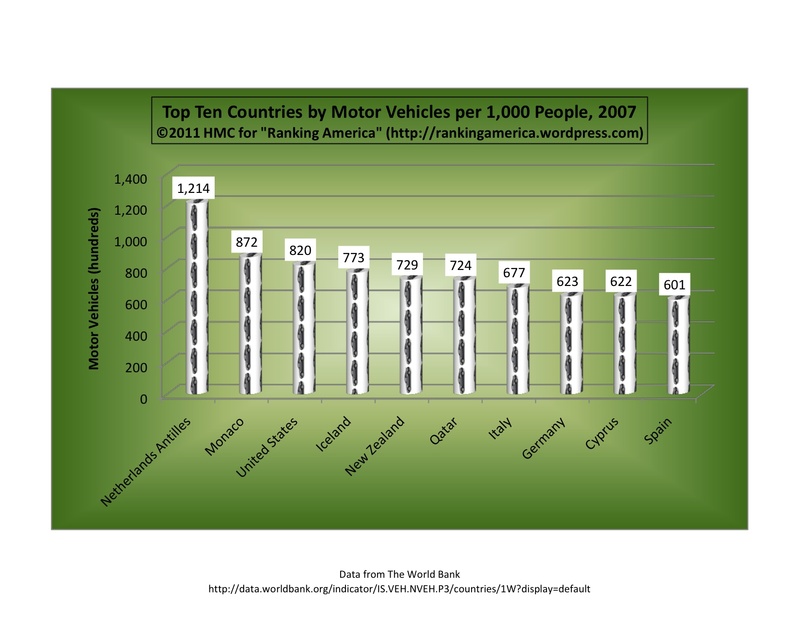 According to data from The World Bank, the United States has 820 motor vehicles per every 1,000 people, which is enough to make the United States rank third in that category. The Netherlands Antilles ranks first with 1,214 motor vehicles per 1,000 people. According to the CIA Worldfact Book, in 2009 the United States used about 18.69 million barrels of oil per day. That’s enough for the U.S. rank first in that category.